Hypertrophic cardiomyopathy (HCM) is one of the cardiac conditions associated with sudden death in young athletes. In fact, HCM is one of the more common genetic cardiac disorders, affecting one in every 500 people. 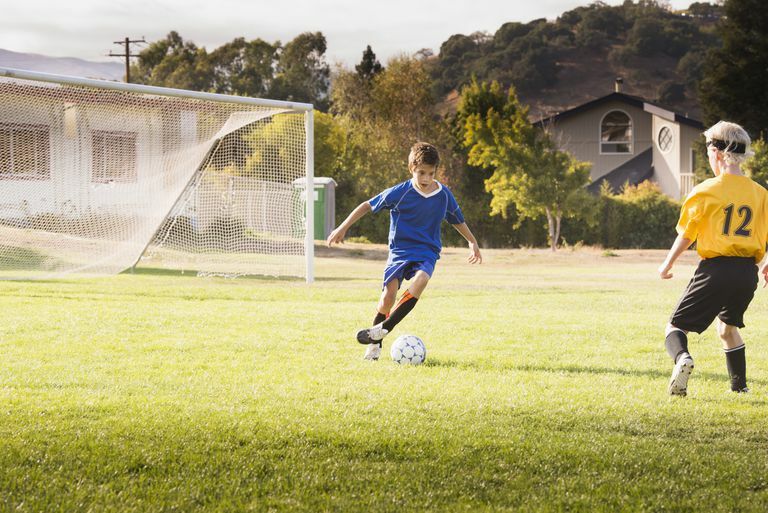 In the United States, HCM accounts for 36% of the tragic sudden deaths that occur in young athletes. Furthermore, more than half of the sudden deaths that are caused by HCM occur in African Americans. People who have HCM usually are not banned from all athletic activities, though they are restricted. Anyone who has HCM needs to know about the risk of sudden death, and must be aware of the exercise recommendations experts agree should be followed by people who have this condition. HCM is a cardiac condition characterized by an abnormal thickening of the heart muscle, a condition called hypertrophy. The hypertrophy can cause several problems. It produces an excessive "stiffness" in the left ventricle of the heart. It can also cause a partial obstruction to blood flow in the left ventricle, producing a condition similar to aortic stenosis. HCM is also associated with abnormal function of the mitral valve. These features of HCM can lead to diastolic dysfunction and diastolic heart failure, or to dilated cardiomyopathy and the more “typical” variety of heart failure. It can also cause mitral regurgitation, which itself can cause or worsen heart failure. But the most dreaded consequence of HCM is that it can make the heart muscle prone to develop ventricular tachycardia and ventricular fibrillation, arrhythmias that may produce sudden death. While these arrhythmias can occur at any time, they are by far most likely to occur during periods of vigorous exercise. Unfortunately, sudden death may be the very first manifestation of HCM, especially in young athletes. Routine screening with an ECG, or better yet, an echocardiogram, would uncover the problem in most athletes before a life-threatening event — but such routine screening has been deemed cost prohibitive. Nonetheless, any young athlete who has had a family member die suddenly, or who has a family history of HCM, needs to be screened for this condition. And if HCM is diagnosed, he or she should follow accepted exercise recommendations for young athletes with HCM. What Are the General Exercise Recommendations for Young Athletes With HCM? According to the 2005 36th Bethesda Conference on Eligibility Recommendations for Competitive Athletes with Cardiovascular Abnormalities, athletes who have HCM should not participate in most competitive sports, with the possible exception of low-intensity sports (such as bowling or golf). Those with HCM who aren't on an organized team but do engage in sports from time to time should also avoid most high-intensity sports such as hockey, basketball, and singles tennis. Some sports that involve moderate intensity, and most low-intensity sports, can be enjoyed in moderation. These include golf, doubles tennis, swimming laps and skating. Maron, BJ, Ackerman, MJ, Nishimura, RA, et al. Task Force 4: HCM and Other Cardiomyopathies, Mitral Valve Prolapse, Myocarditis, and Marfan Syndrome. J Am Coll Cardiol. 2005; 45:1340.